Benefit Wealth Partners was built on the idea that people deserve to feel confident about the choices they make about retirement. Our firm believes a long, sustainable, and profitable retirement occurs when clients understand what they have and how it will react to market fluctuations. We’re here to help them understand how changes will impact retirement in the long term. It’s our job to invest our time and resources in your finances from the beginning and to continually monitor your accounts throughout your retirement years to help put you in the best position to succeed. As a full-service investment advisory firm, we are equipped with the tools necessary to help you make informed decisions and approach your retirement feeling confident and secure. We’re here to inform, advise, and collaborate with you. Brent Ford, partner at Benefit Wealth Partners, guides the company with a direct and honest approach. 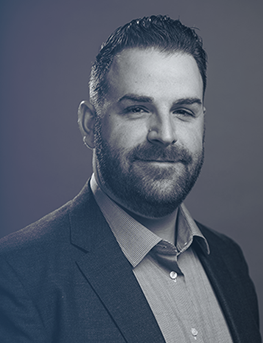 Using his calming nature and industry experience, Brent forms long-term and low-stress relationships with clients so he can ensure mutual respect and familiarity before making recommendations. Brent emphasizes using a high level of customer service to address clients’ financial and informational needs and is not satisfied until he knows they leave his office well-informed and confident in their decisions. Living his life by the motto “Never stop improving,” Brent uses the same philosophy with his business. In fact, he feels the most pride in his work when he is able to outline how the strategies he recommends align with clients’ needs and wants and provide them with the income they desire. Brent practices pre-retirement planning for Federal employees and enjoys when he can mitigate their concerns through easy-to-understand explanations and detailed information. As such, he’s played an integral part in expanding Benefit Wealth Partners from a two-person firm to a nationwide organization serving unions, associations, and agencies within the Federal government. Brent received his bachelor’s degree from the University of Wisconsin, Eau Claire, is a certified Investment Advisor Representative, and earned his Series 65 certification. He is a proud Wisconsinite and, outside of work, enjoys spending time with family, hunting, and boating.